The next information is about the results of using “very low resolution FOC”. On the tests I run the motor with or without “very low resolution FOC”. 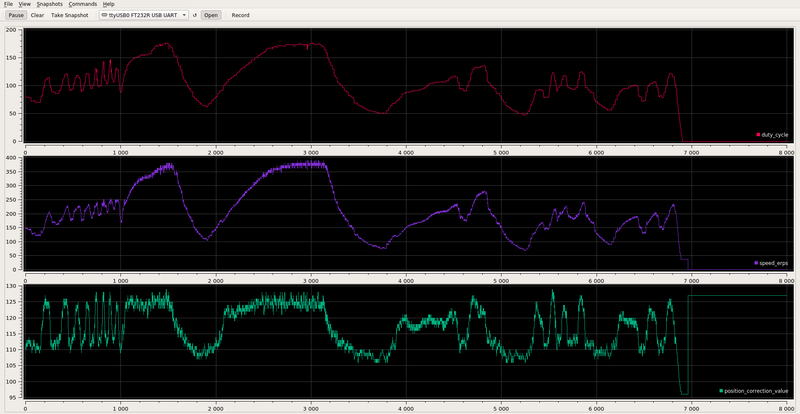 The motor was providing the same mechanical output, was running at the same speed 16km/h and with the same load (on a bike training roller). As we can see, the phase B current is aligned with the all sensor signal, meaning the Id current is zero and IQ current is max. The phase B amplitude is 0.94V that represents a current of 5.8A. For the motor to be able to run at the same speed 16km/h as on the first test, the PWM duty_cycle / energy had to be increased. 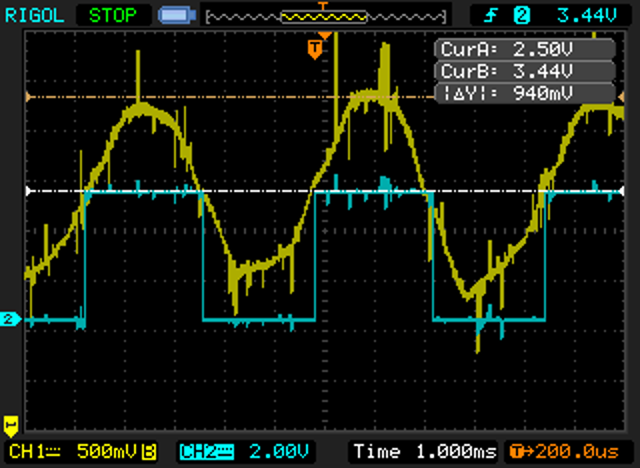 The phase B current is not aligned with the all sensor signal (and this misalignment varies with motor load and speed), meaning the Id current is not zero and IQ current is not the max possible. 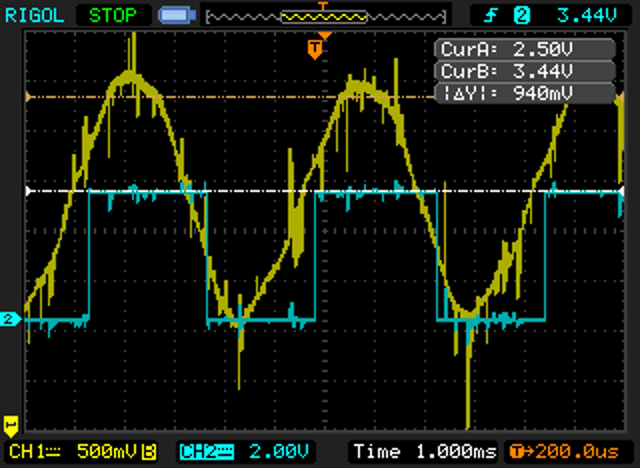 The phase B amplitude is 1.2V that represents a current of 7.4A.